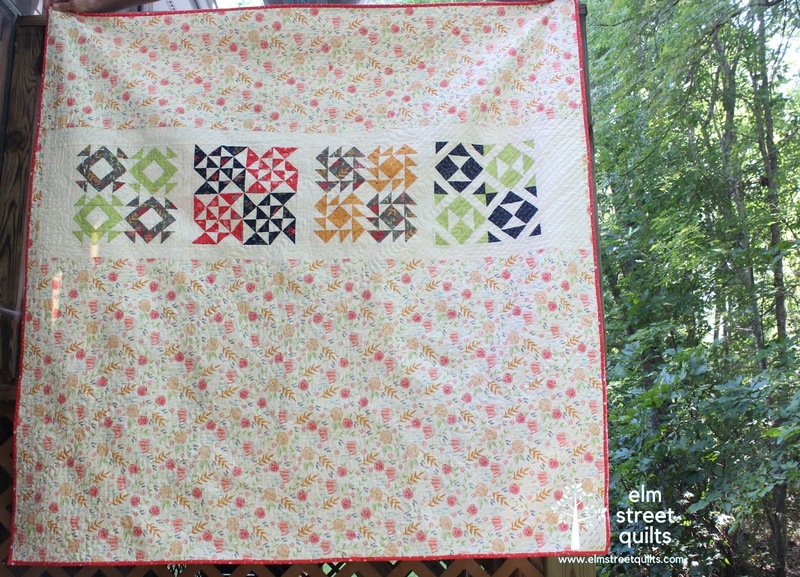 What a fun quilt, I love the way you set your blocks! 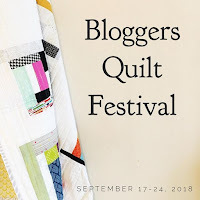 I've had terrible issues with quilting when both the top and back are pieced, so don't use my extra blocks on the back anymore. Someday they're all going to end up in an extra-scrappy quilt. Love seeing this one again. You alternate layout is perfect. 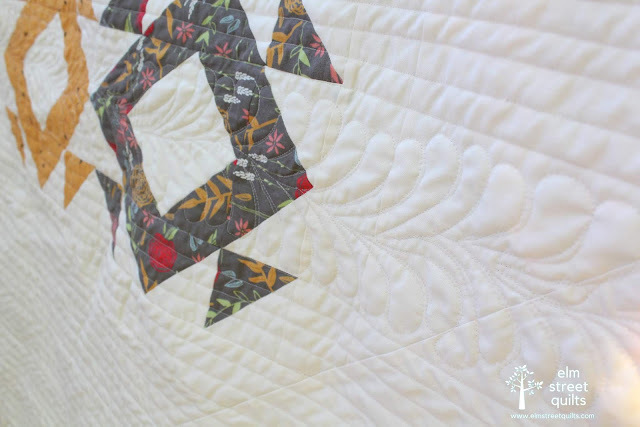 Perfect quilt for your college girls! So lovely for your daughter! I love how you pieced the backing, also. 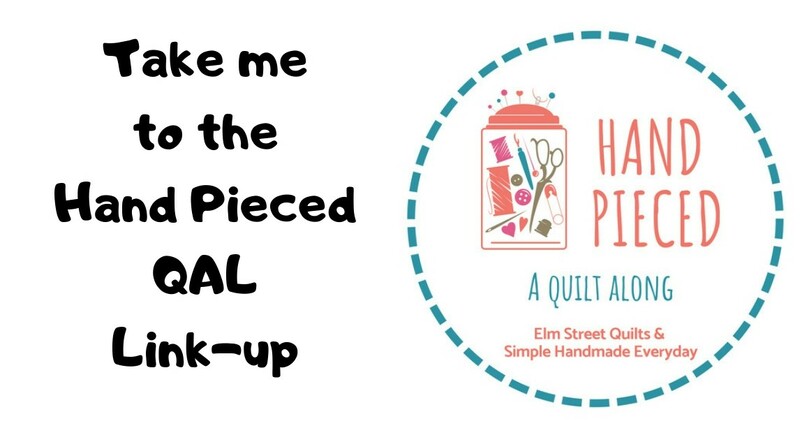 I have started to pieced some of my backings and they really add a little something to your handmade quilt. 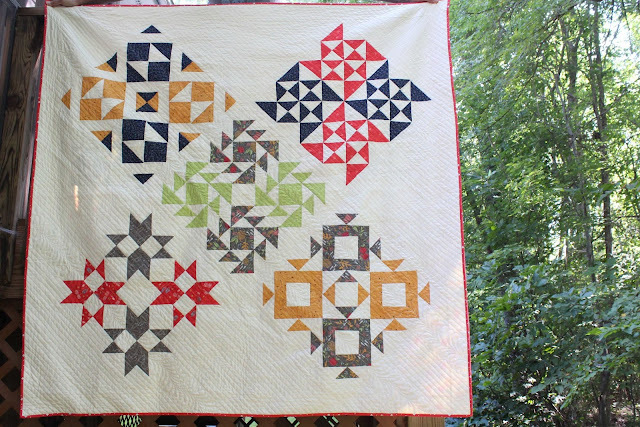 This is truly a Darling quilt! 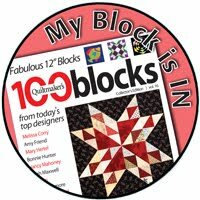 I love the blocks, love the setting!!!! Nicely pieced and nicely quilted.....love the back too! It's lovely and will be well loved I'm sure. 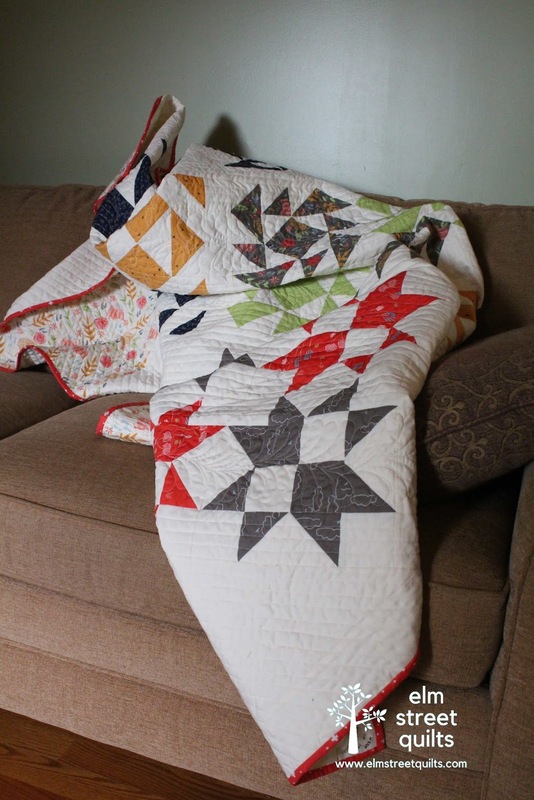 I like quilts be used & it's funny seeing 6ft+ young great nephew show that he still has his baby quilt(giggle). Take care. Love it! I especially love the backing - very clever! OMD is great! I like the modern setting. 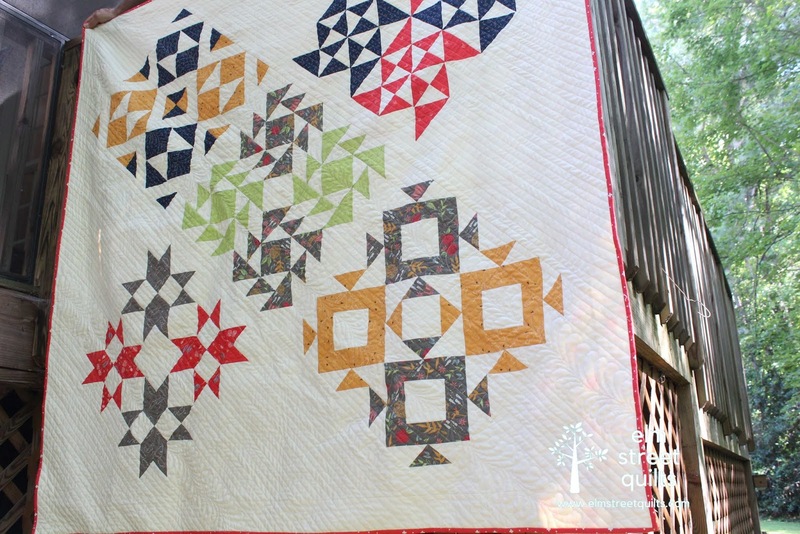 And thanks for the closeup of the quilting. Very pretty! Hopefully it's getting lots of cuddle time in it's new home. Great quilt, both front and back! Love the front and back. Couch, floor, it's all good. 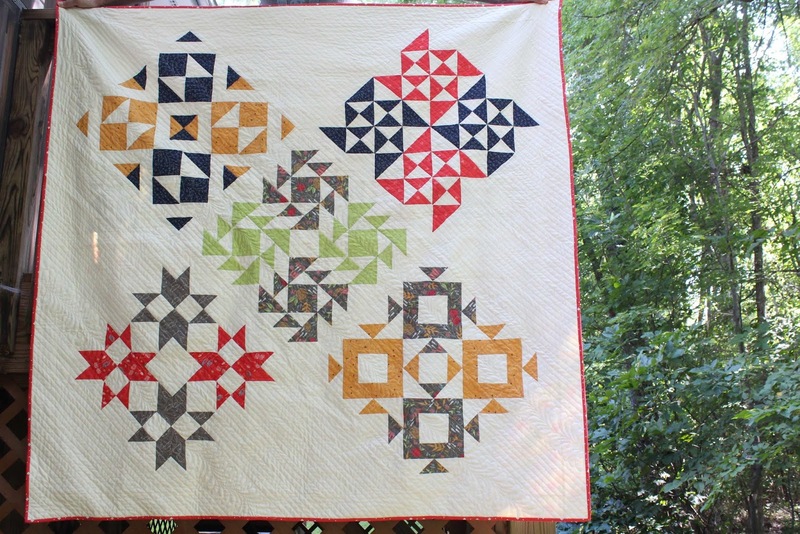 There are so many things to like about this quilt, Patty -- the palette, the arrangement of blocks, the pieced backing. 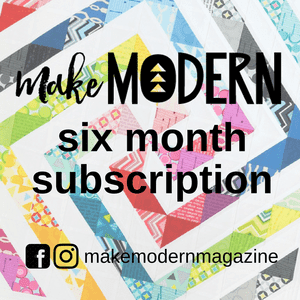 I'm a die-hard straight-line quilter, and the idea of breaking up the lines with some FMQ as you did is brilliant!